This Canadian documentary is a joint program with the library and the NSOLF. 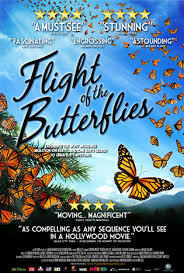 The film covers Dr. Fred Urquhart‘s nearly 40-year-long scientific investigation into the monarch butterfly, tracking the details of what is considered one of the longest known insect migrations: the flight of the monarch butterfly from Central Mexico to the United States and Canada and back. This documentary has been compared to March of the Penguins. This is a family program for which there is no registration. Saturday, August 25th from 3:00 – 5:00.